Lots of berries pair well with herbs and spices. Try to use fruit that’s in season. You can use frozen fruit, just don't thaw it first. In a large bowl, combine the brown sugar, flour, salt, cinnamon and thyme. Fold in berries until well combined. Pour fruit mixture into a prepared pie crust; dot filling with pats of butter. Top pie with second crust; seal and flute edges. Mix egg yolk with a teaspoon of water; brush over edges and top of crust. Bake 45-50 minutes. Let cool for 30-45 minutes before serving. Note: This recipe can also be made into an enticing (and lower-stress) galette as shown here. 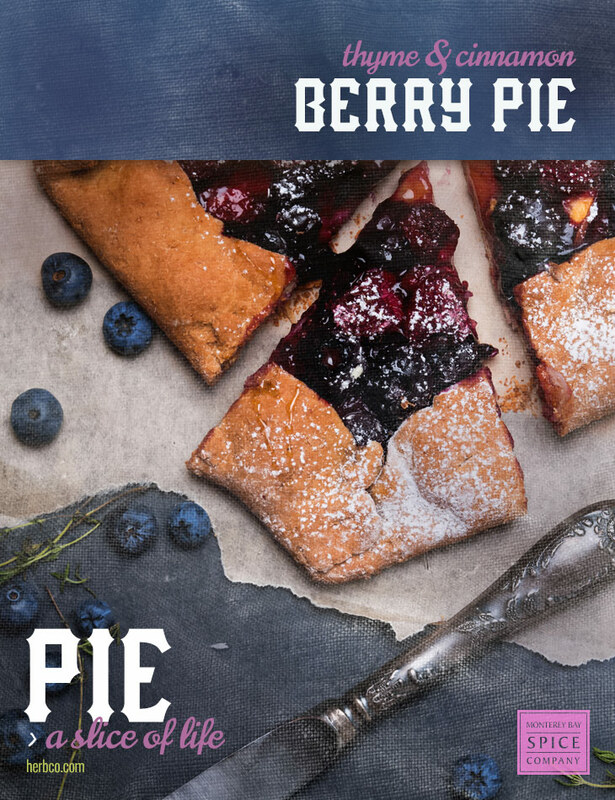 If you decide to try this, be sure not to use a filling that is too watery, blueberries are a natural, and don't use too much filling or the crust won't hold up.